Jaihind is touted as ‘one of Pune’s most well-known and oldest men’s fashion brands’ – now with five stores (and counting) across Pune. Famous for their ethnic menswear – featuring ready-to-wear collections and fabrics; they now house several other brands in their stores, in addition to their own. We paid a visit to their Aundh store (just off Parihar Chowk), and here are 5 things we found for men. Mewar is one of Jaihind’s own labels, and we found a nice selection of Nehru jackets for men in plain colours, patterns, and prints. The silk jackets are priced at around INR 2500, and the jute-blend ones for INR 1500. These jackets are a versatile piece of clothing to have in your wardrobe and can be worn over a shirt or kurta, to create a more formal outfit. 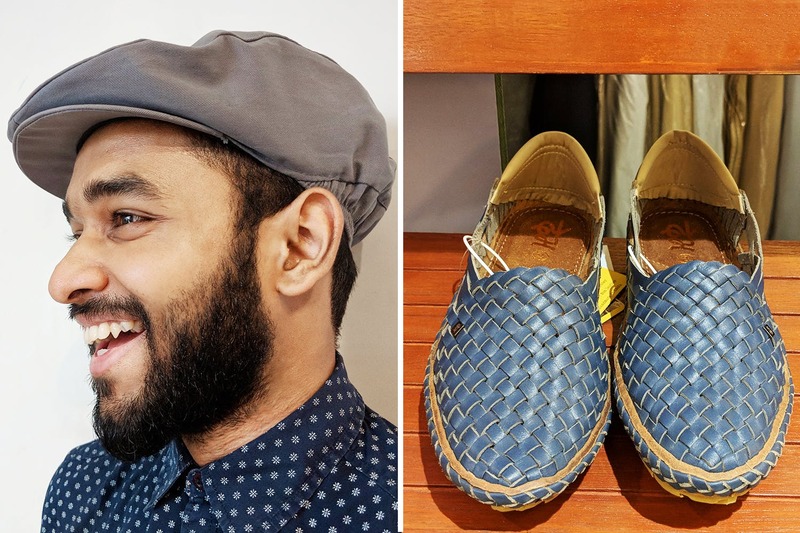 Holas are traditional leather handwoven shoes, and we found a nice line of them by Desi Hangover. Priced at around INR 2795 per pair, the shoes come in different styles and colours like natural tan, brown, and navy blue. They’re a comfy fit and would make a stylish addition to a casual summer look. There were several t-shirt brands to choose from at Jaihind and we couldn't choose just one. The store now seems to have a number of pastel colours'options, priced at around INR 795 each. These t-shirts are bound to give you a fresh and summer-ready look. You can never go wrong with a pair of chinos! We really liked these smart-casual chinos by Indian Terrain – which were priced from INR 2000 onwards. Khaki, navy blue, and beige are the ideal staples to invest in if you’re looking to re-vamp your wardrobe, as they can be paired with almost anything. Since it’s summer, we thought we’d have a look in the accessories section for caps and pocket squares. What we found was a nice flat cap or what is called an Italian ‘coppola’ cap in a lovely grey, for INR 180. It had a snap-button front and an elasticated back, which would suit all head-shapes. If you’re not a fan of grey, we also found it in a nice dark green, and navy blue. Whereas, if you're looking for a formal accessory for your suit, the pocket-squares are available in plain, simple and richly coloured options and also in some with funky prints too. These pocket squares started at INR 199.